If only it were that simple! Great nutrition will give your deer the opportunity to maximize their genetic potential for antler growth, but it is just one (albeit an important one) of many factors that affect deer antler growth. Even assuming that you are providing the best nutrition possible, other things, some within your control and some not, will affect the production of trophy racks. Water availability is critical. Research has shown that in many species of ruminants if water intake is reduced even minimally, food intake drops also. 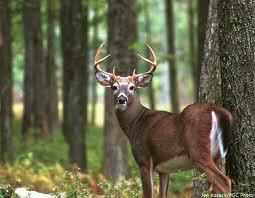 Water must be fresh, clean, available, and away from stressors that might inhibit a deer’s water intake. Maximizing water intake will help maximize feed intake. This entry was posted on Saturday, January 19th, 2019 at 12:57 pm	and is filed under News & Updates, Wildlife, Deer. You can follow any responses to this entry through the RSS 2.0 feed. You can skip to the end and leave a response. Pinging is currently not allowed.